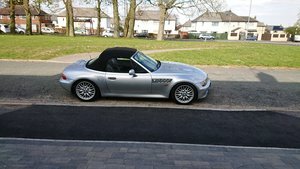 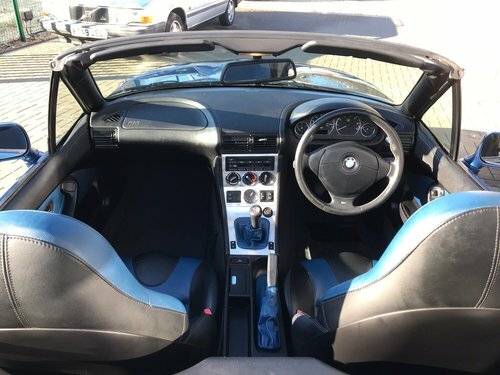 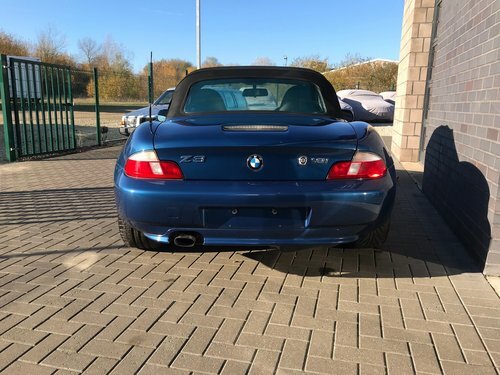 2001 51 PLATE, BMW Z3, MANUAL GEARBOX, 4 OWNERS. 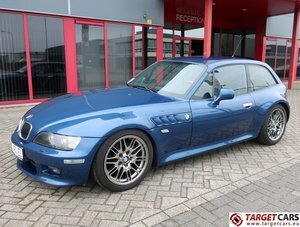 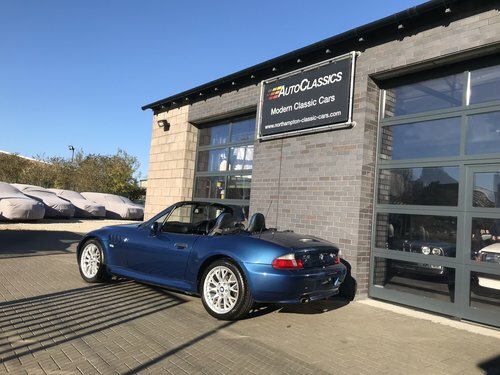 This stunning little Z3 is finished in the very desirable Topaz blue and as you can see from the pictures still has a fantastic shine. 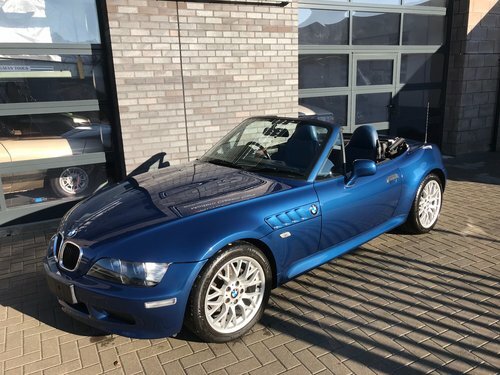 The convertible top is in great condition and being finished in black looks great against the blue. 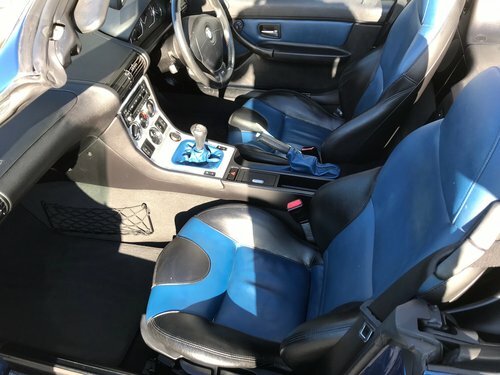 The interior has the optional sports seats finished in blue and black leather which are heated. 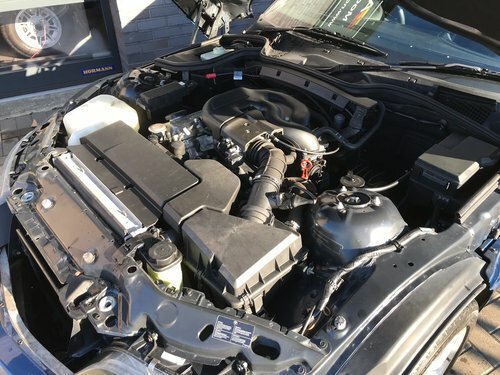 This car has only covered 30,000 miles from new and comes with full service history, being the 1.9 version it’s very reliable and cheap to run. 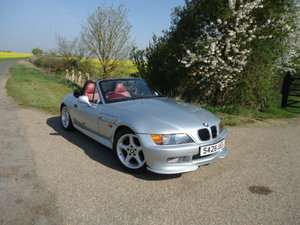 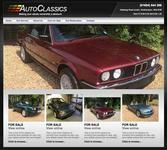 Prior to sale we will put this vehicle through our workshops for a service and fresh mot.